Designing and building something that has never been constructed before? That’s what the team at Entech Innovative Engineering has done for 25 years on a startlingly wide range of unique projects in the themed entertainment industry. We recently caught up with owner John Marhoefer to learn more about how Entech Innovative Engineering can build just about anything. 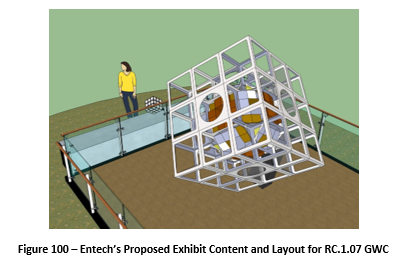 For those who don’t know, could you please briefly introduce Entech Innovative? For more than 25 years we have engineered, designed and built specialized machines and unique structures for industry, science, entertainment and art. Our projects have included large scale and complex interactive exhibits for museums, iconic architectural structures and show action systems for theme parks. Our team includes trained project managers, professional engineers and technical designers, skilled tradesman and artisans. Our capabilities permit us to develop a project from the client’s concept or idea through implementation and startup. We specialize in dynamic systems and unique structures and have increasingly focused on composites integration into our work products. The company exists first and foremost as a means for those who work here an avenue to fulfill their professional passions, usually an aspect of creative expression technical or otherwise. Entech is an overachiever’s paradise – those who want to make a big contribution can do so early and often. The company’s core professional values are the Four C’s; Confidence, Competence, Commitment and Consistency. What makes Entech Innovative special or unique from other themed entertainment engineering companies? 1. The range of our experience and amount of time we have been performing at a high level. Our projects are extremely varied and have permitted us to understand and cross purpose technologies and techniques. Furthermore, we have gained a tremendous knowledge of what will and won’t work and are able to employ this knowledge to be able to deliver cost effective and reliable outcomes. We say we have the three dimensions of Breadth (we’ve worked on a tremendously wide variety of projects); Depth (we have intimate knowledge in an extremely wide variety of subjects); and Time (we’ve been at this a long time)! 2. Our commitment to an old school engineering approach to our work – problem definition, design and analysis within the context of a managed plan. 3. Our commitment to continuous learning and intellectual curiosity – a situational awareness of developments in technologies, materials and processes that we can potentially implement into our projects. Entech Innovative has worked on a wide variety of projects. What are some of the challenges of always creating such unique “one off” projects? Scope definition (a.k.a. managing expectations). Often, for example, clients will express they want artistic renderings and descriptions. An artistic rendering is far from the engineered shop drawings that we will use to build the machine or structure, and many detailed decisions will be made along the way. Making sure our client is cognizant of that fact and involved as we develop the design is important to delivering the project that our client expects. Understanding at the beginning of a project: A. What we know now; B. Knowing what we don’t know (yet) – the known unknowns; and C. Having a plan for the unknown unknowns – which experience has taught us will exist. Spending enough time in the beginning of a project defining these three categories and having an action/response plan as the design manifests in these areas is important to a successful outcome. Do you use any special tools/software/technology to help bring these projects to life? We are constantly looking to adapt new technologies, materials and processes into our work. We were an early adopter of 3D printing and continue to use this tool in our work. We utilize the Dassault Systèmes SOLIDWORKS Corp. suite of design and engineering tools for an integrated platform. We have a commitment to composites research focused on the entertainment sector for special structures and ride vehicles that utilizes newly developed materials and techniques. We have a strong commitment to recognizing and adopting best practice project management strategies and processes which sets us apart strongly from many others. So, the answer is yes, we do and we are committed to making sure this is one of our strengths in our offerings to our clients. Any projects you’ve completed (that you can speak about) that our readers might recognize? Would you say there is one that was the most unique or most challenging? We’ve completed thousands of projects across the world but most right here in the United States. The major Orlando based theme parks have been our clients for 25 years and there are very few of their attractions that we haven’t had some role in bringing to life. 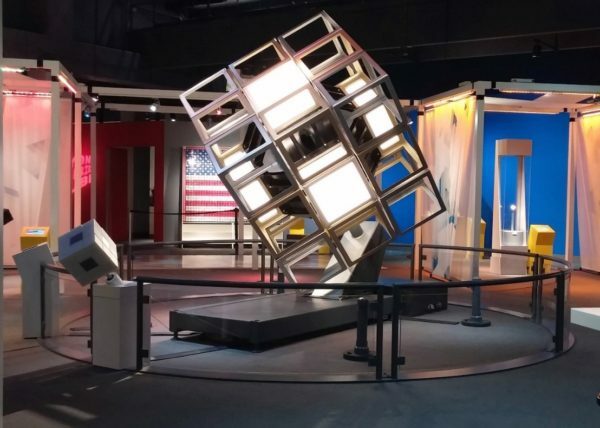 A recent unique project is the 11.5-foot-tall Beyond Rubik’s Cube for the Liberty Science Center in New Jersey. After talking to the toy’s creator, Professor Enro Rubik, we designed and built the 2,367-pound structure to give the public insight of how the Rubik’s Cube functions on the inside. The following Figure 100 is an illustration of the concept for what became the Giant Working Rubik’s Cube (so-called GWC). Pictured in Figure 200 below is a still photograph of the executed work, followed by a video that shows how, in fact, the interactive works. As can be seen, the large cube moves sympathetically with the manipulations of the smaller cube. The large cube uses a very high precision servo-system. We were responsible for all the engineering and fabrication of everything about the interactive including the controls and the programming. What excites you most about the future of the themed entertainment industry? Where do you see Entech fitting into that future? Our theme park clients are continually challenged to conceptualize new and unique engagement content. Like us, they too must be aware of new technologies, materials and processes as means to add to their creative palette. Accordingly, our value as a resource to these clients will continue to grow in a synergistic mutually beneficial manner. If a student were interested in working for Entech Innovative in the future, or the amusement industry in general, what advice would you give them? First and foremost, come with a work ethic, a brain and a desire to develop mastery. Understanding what being a good team player means will help. Did I mention a work ethic . . .? Did that include the word “work” . . .? Did I mention mastery . . .? Arrive as educated as possible and make a strong ongoing commitment to become more so – unceasingly till death. There is an expression that may serve to illustrate what I mean – “Be the king/queen of something.” Being the king/queen of something means having a mastery knowledge of something, for example, people skills or engineering analysis or adhesives or machining techniques or project management processes or design creativity or marketing . . . the list is endless. Developing mastery makes you more and more valuable and will serve you wherever you go. 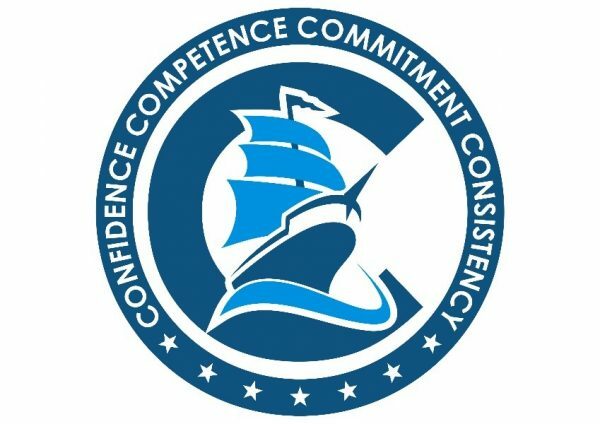 The Entech core values, the Four C’s, including Confidence, Competence, Commitment and Consistency are readily identifiable in the above advice. Thank you very much to John Marhoefer for your time! For more information about Entech Innovative, be sure to visit their website or social media pages on LinkedIn, Facebook and YouTube.